My One Call LLC is a Sales Acceleration Firm based in the Denver Area. Years ago I was a very big thoroughbred horse racing fan. I was lucky enough to live within a mile of our state’s only track. One day while listening to a horse racing television program I overheard the reporter interviewing a gentleman by the name of Barry Fey, who just won another National Handicapping Tournament. You may know the name Barry Fey, he was a major rock concert promoter in the 60s all the way through the early 2000s. The thing that was amazing was Barry as far as handicapping went, is he seemed to win all the tournaments. This, of course, intrigued me, but Barry would never say exactly what he did to win. In this particular interview, the reporter asked him, Barry do you have a secret to handicapping? Oddly enough he answered. He said one thing, I look for unique speed. So as someone who handicapped horse racing almost every weekend, I started to look diligently for whatever unique speed meant. After a few months, I was beginning to think Barry was just throwing us all off course. But then it happened. I was looking at all the past performances of a 6-furlong race that was coming up in a few hours. And there it was. It seems like all the horses in this race had all been running more than a mile which is more than a furlong longer than six furlongs. Well, there was one horse who in each of his last five races have been well in the lead at 6 furlongs, and then dropped off to lose the race finishing in 2nd through 5th position. Aaha, that’s unique speed. But what if the other horses run just as fast to the six Furlong mark? This race was six furlongs, so I checked all the other horses and not one of them was close to the 6 furlongs speed and position of the horse I was looking at. Yes, indeed that was unique speed. So… with a note of thanks to Barry I placed my win bet on a horse that went off about 8 to 1 and did well as he did win being far in the lead at 6 for Longs. So what’s all this unique speed have to do with your business or your career? After thinking through all this it occurred to me that a business that has some sort of uniqueness, as in unique speed, is the business that prospects will usually choose. Thinking of my own company, I know that when I’m in a race so to speak with four or five other companies for someone’s business; the thing that consistently sets us apart and the reason we usually win the business is the fact that we have a very detailed process that is completely transparent on what we do when we are producing an SEO program. There are 10 different spreadsheets a client can look through at any time to see what we’re doing. We also have a very strong communication policy where there are conference calls with a client explaining what each spreadsheet is for and what its intention is. We also have a very strong track record with success. 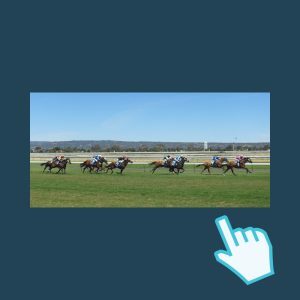 So when it’s down to the final two furlongs and there are still several competitors in a race they can look at our communication process, complete transparency, attention to detail and proven results. That’s our unique speed, that’s what wins the race almost every time. I have a client whose unique speed, in my opinion, is simply expertise. They’re a major remodeler and having been on numerous sales appointments with both them and others, I can tell you that you’d feel like a fool if you bought from anybody but them. They just have an amazing background and knowledge of how to get things done. Their expertise and walking through your project is enough to give them the unique-speed and win many jobs and that is why have a very high closing percentage. So what are the things that might be your unique speed? It can be so many things or it can be a combination of things. network that you’re part of. It’s certainly not unknown of, for a prospect to buy your service because of the people you know or the people you serve. It could be things as intangible of future benefits or just the results you’ve recently achieved. Whatever it is you need to find it and you need to clearly define it. Most businesses have a tendency to believe their service is the best, and that’s good, but the truth is many businesses are very similar. When the house painter shows up at my door he better have some sort of unique speed because I know there’s a hundred more right behind them. You have to view yourself as the underdog and developed unique speed. Take the time to identify your businesses unique speed. Then high light it to your community and prospects. You’ll find your self in the winners circle far often as well as attract more quality prospects consistently. 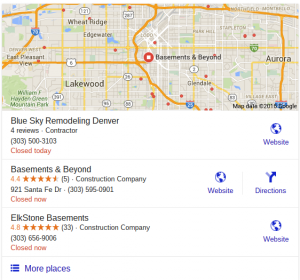 Hyper-Local SEO works in the Denver area. Since 2015 Google has been reporting a continue climb in the use of the term “near me” in search queries. The old style local SEO focused on large metropolitan areas for good reason, people were not conditioned yet to use near me, or their suburbs or areas location in the search term. 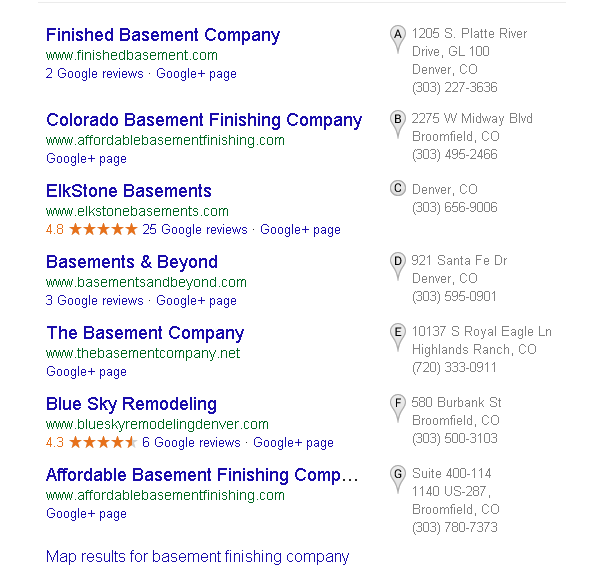 As an example, if you are a painter located in a suburb of Denver, your SEO may have focused on the term Denver Painter because that’s was the most searched term even for people in the suburbs. A Lot, and I mean A lot has changed in the last few years to make this strategy a bit of an anachronism. I won’t go through the multitude of changes Google has made to provide more accurate local information for searches, but I will say it has significantly change how search queries are displayed and how prospects find your web site. This is essential to understand if you are a service type business whose customer base is further reaching than the community you are located in. An example might be that same house painter I mentioned above. That company needs customers from 3-4 cities within the Metro area. Google’s current algorithm works against this business because of its strong bias towards primary listing businesses for these searches in the city they’re based in. What a Hyper-local program does is extend that companies reach through a local SEO program that focuses on the contiguous city’s next to the businesses home city. In doing so a company can double or Triple their leads from the extended areas. Here’s an example of one of our clients current Internet rankings using a hyper-local approach. Notice in the report that they are in the 1st,2nd. or 3rd position in maps for two major search terms. This extends their reach over 400%. this clients will do well over 2 million dollars i new sales a year from the Internet. We specialize in Hyper-local Internet marketing. Having worked with hundreds of local companies we understand that lead generation needs to work within your business plan, and that a shotgun approach can do more harm than good. Call us today to get a free assessment on your current lead generation and Internet reach, and discuss what the potential is by using a HYper-local approach. Interested in how your company’s’ Sales and Marketing stacks up? This mini quiz will give you a quick view of how you compare in some areas to other company’s, as well as you give you some idea’s on how to improve. Average completion time 1 minute. Interested in a full Sales and Marketing tune up that's guaranteed to increase your sales and lead generation quality? Read about it here . $500 off if you sign up before January 1 2017. See details on link. Business development is a term that generally is viewed as a “sales” function. At My One Call we view it as the opportunity to develop a business in any of the three main areas a business must preform in, those being. An area overlooked by many companies is the development of new branded service offerings. As an example one of our clients who is a general contractor identified a unique and undeserved market. In Denver, there are 10 areas of the city zoned for ADU’s, which stands for Accessory Dwelling units, or in other words, a separate residence built on your home lot, or above the garage or in a basement, that serves as a second residence. 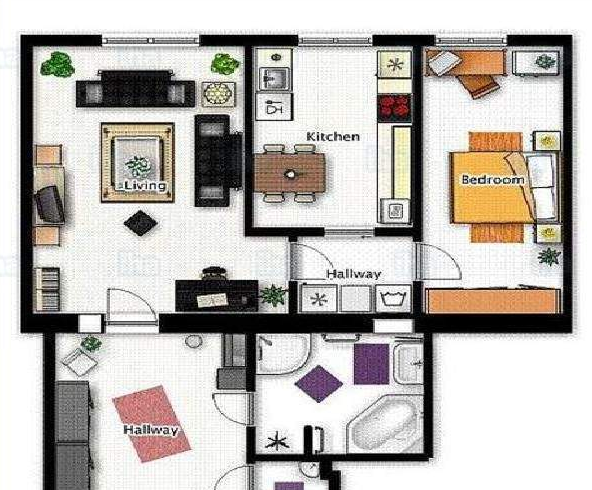 It can be rented out for additional income. The Denver areas rents have sky rocketed making these Garage apartments, or carriage house, or basement apartments very attractive to rent. Yet no one in Denver has been specializing in these, perhaps because residential construction is so hot right now. So our client L & D Construction is building a division that includes construction, Real Estate, Finance and marketing to both educate and sell to homeowners in Denver. As they become the “voice” of the ADU community, they may build a brand that is far ahead of any other business. That’s smart business development! You can read a little about ADU’s as Garage Apartments, basement apartments or carriage house on their blog. Recently, Mike Bayes was interviewed by the Reach Connect Uplift Women show about the biggest issues businesses have with their Local SEO. Although these tips are not all inclusive, they are very important to your website’s rankings. Listen to this 13-minute video to hear about the main Local SEO basics. Recently we have been hearing a lot from webmasters about recommending citation services for their clients. This interview may convince you to be a little more careful going down that path. The 5 most important factors that can hurt your site’s ranking are. @ Use the right meta tags on every page. And here is a video with Matt Cutts from Google on the most common SEO mistakes. This isn’t specific to Local SEO but applies across the board. @ Include the right words on the page. @ Not using Web Master researches. Between these two videos, you will have a great start on having a “visible” website in the search engine results. Call us for a free 30-minute review of your site! 720-254-1234. 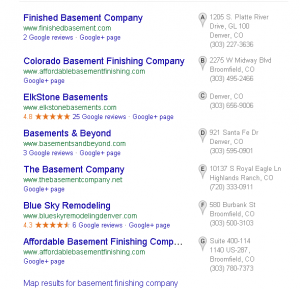 We are a Denver area-based Local SEO services company. There’s More To A Google Review Than You May Think. It’s pretty common knowledge that a good review from your customer is going to have a positive effect on your web visibility. Clearly those map listings that, in addition to the standard information also show a star rating, are more than likely to get a better click through rate. Note the screen shot below. Which two reviews are going to catch your eye? But there’s more to the power and value of a review than just click through rates. Semantic SEO is playing a larger and larger role in how your site will be ranked and who will view it (depending on Googles perception of the searchers intent. How that might affect your sites visibility is in the words the reviewer uses in the review. It would seem to be common sense, but when asking for a review, you may want to help your customers with some of the words they could use. If I was a dentist, and I wanted a certain type of dentistry to stand out, I would ask for the reviewer to mention “Orthodontics“. I don’t think you need to ask them to use the word…. but you could suggest they mention the procedure they had. When you request a review or encourage your clients to write one, it’s very helpful to them if you give some ideas on what they might want to say…. For our clients we suggest they send out a request, with full step by step instructions on the process of getting to the review page, and then give a few ideas to get them started. Things like… what was the project we worked on for you? Were you happy with the? By helping in this way you should see a better response, and a better result in web visibility because semantically your reviews are matching the services you want to be highlighted. And it doesn’t hurt to take a look at your company description on your Google My Business listing, and make sure it reflects your business goals as well. Again, if you are a Dentist (And we don’t do web visibility for Dentists) and you want to do more Orthodontics, well then you may want to use that word as well as the phrases that relate to it in your description, and mentioned in reviews. And, I guess it goes without saying, ask the type of customers you want more of to provide reviews. <<<<< Smart. I want to caution you to never write a fake review or have one written. Following Googles guidelines is important, as well as any other platform you want to see reviews of your business on. Call me if I can help! How to set up your lead generation program. to customers, and then average revenue per customer… so on and so on. These 5 or 7 numbers are all based on missing elements! can afford! You can then see dramatic improvement in obtaining more leads by improving your closing percentage. Increasing your closing percentage will dramatically increase the number of leads you can afford. big enough budget lead generation isn’t the problem. eventually your sales plan from it. What can you pay for a customer? as many business can go and survive), you may only be able to use 7% of the gross for a customer. leads, so you can pay one 5th of the customer cost, or $280.00 per lead. now you at least you know how much you can spend and how many leads that will produce. Who’s Buying Now? And using SAVE marketing to sell them. That’s one of the top questions you can ask yourself before you start hunting for new customers. Like so many things in business (and life) selling and buying are cyclical. Most industries buy during certain time periods, and sell during certain time periods. Generally they will buy right before they start their sales season, or right after. Those periods of time may vary, and vary vastly (I just used vary vastly because I thought it has an interesting sound) … so when it’s time for you or your business to build a sales and marketing campaign, start with this question. When does my prospect buy my services? How far in advance do they start looking for me? Once you have this information, and you should be able to gather it from your past sales and those sales cycles, or just using common sense, you now can plan your campaign. (You’re welcome). When it comes to planning, I like the old saying attributed to Abe Lincoln. “If I had 8 hours to cut down a tree, I’d spend 7 of those sharpening the axe”. A. Access. This one I use in any sales or marketing plan. How is your prospect going to access your information? If you have answered the question, how will they find your business from the first set of questions, this becomes a no brainer. If you are guessing, go back and figure it out. YOU MUST KNOW how prospects find your service for any campaign to be a success. Don’t assume here, do your work, sharpen that axe! V. Value. Okay.. over used, but there are really only two type value propositions… Price or value. So which are you? If you’re competing with price how well positioned are you. Are you in fact a great price for the fix you can provide, or are you just cheap. Just cheap is a losing proposition. Do you provide high end fixes that the prospect will pay for, then you need to clearly communicate how that will give a greater return than your competition, and make it as easy as possible. High end value propositions that carry the added weight of complexity are losers. Value with simplicity … thats a sharp axe! E. Education. This is tricky. Seriously, most prospects will contact you after they have completed a great deal of research. They are already educated, so over educating is a bore. And then do a little Bruno Mars…. “Don’t believe me, just watch” BOOM! Now dance, do the dance really well, and on beat…That means showing them right then and right there that you have exactly what they need. Bring out the testimonials… Boom, “delivered exactly what they wanted to a customer”…bring out the dashboard BOOM… just what they asked for, ready to roll… Bring up the website your company just built, and the customer already love’s… BOOM. Show them the price… in their budget and the terms they wanted.. BOOM. I have got to stop watching so many funk videos, but you get the point, I hope. Educate on how your solution, or fix, is what they wanted. That’s education, don’t walk them through the boring a,b,c’s when they need 2+2 = 4.